Wow! 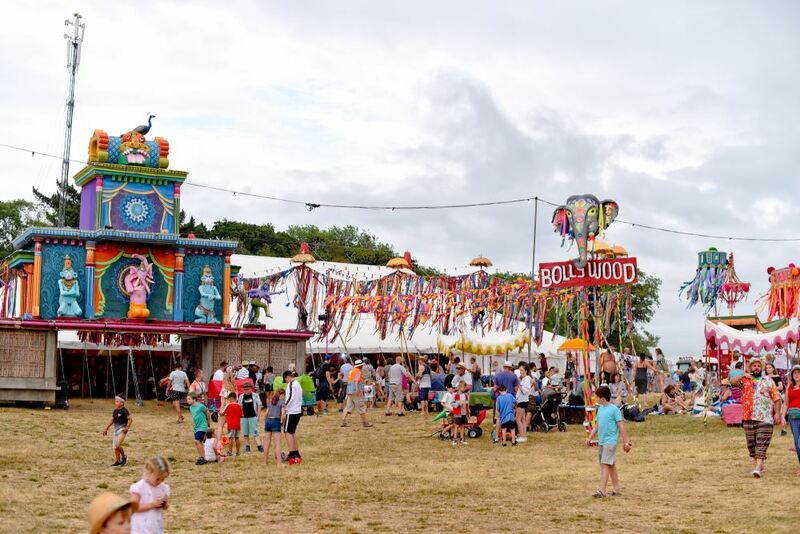 What can I say Camp Bestival is just so full of colour, music, food, incredible backdrops….it is a real festival of the senses! We’ve been here before quite a few years back but this is the first time we got the real family experience with a 2 and a half year old in tow and a (6 months) pregnancy bump to carry around. Camp Bestival did not disappoint! 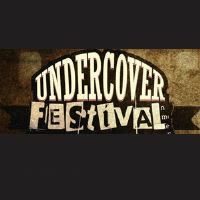 It is marketed towards families and it was so relaxing…. anyone with a toddler knows that there aren’t many relaxing places with a little one with you. It was great seeing the whole place through fresh eyes and in the words of our little girl “wow”. There is so much to do, especially for children. 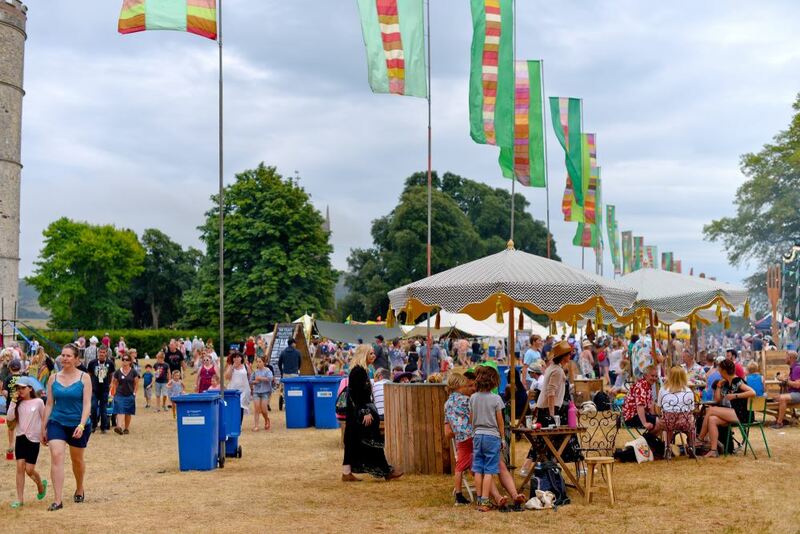 There was such a great atmosphere and it feels like a very safe, friendly and accessible festival for people that still want to enjoy the festival atmosphere now they have a family. 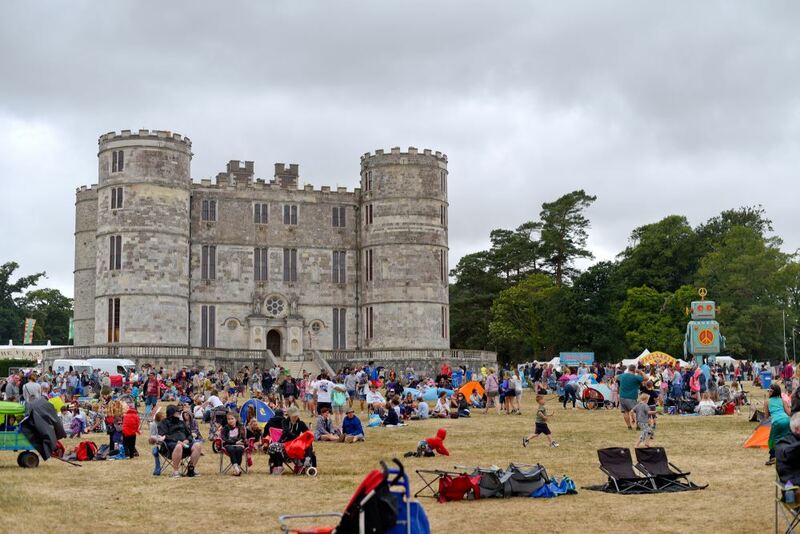 Getting to Lulworth Castle is very easy as it’s signposted very clearly and getting into the site was easy as they have so many different areas set up. There is quite a bit of walking after you park but if you are camping you only need to do it on the way in and back out. 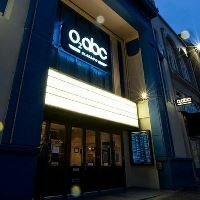 The facilities are all relevantly clean and I didn’t need to queue very long…. which is good for a pregnant lady. The site is also easy to navigate with a pram or you can hire or bring along a really cute trolley to pull the kiddies along in. 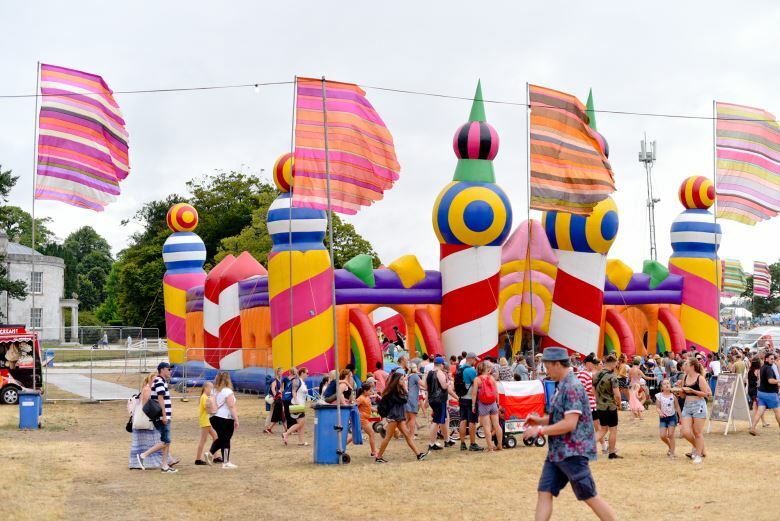 We had an incredible day on Friday and really made the most of the gorgeous weather and enjoyed lots of acts and shows, we also made the most of the shade at times in the big marquees, our daughter particularly enjoyed the Soft Play tent tailored for under 5s. Other highlights were just chilling next to the stunning castle listening to different bands and acts play while our little one wore herself out dancing and jumping. Saturday, we had a fantastic start to the day with getting to watch the one and only Mr Tumble on the main stage, there was a very large crowd, and only a short while later little ones got to do a meet and greet with Peppa Pig, this is heaven for most toddlers. 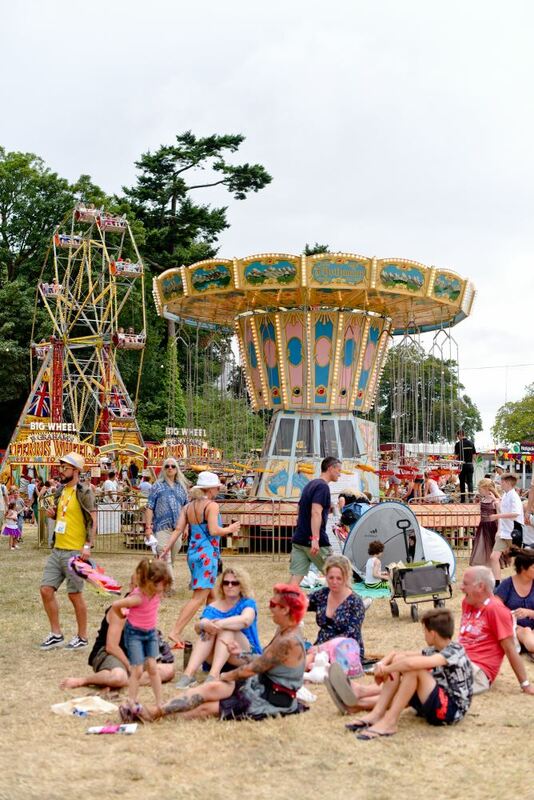 There is so much for the older children as well, the World’s Largest Bouncy Castle, fairground rides, workshops and much more. 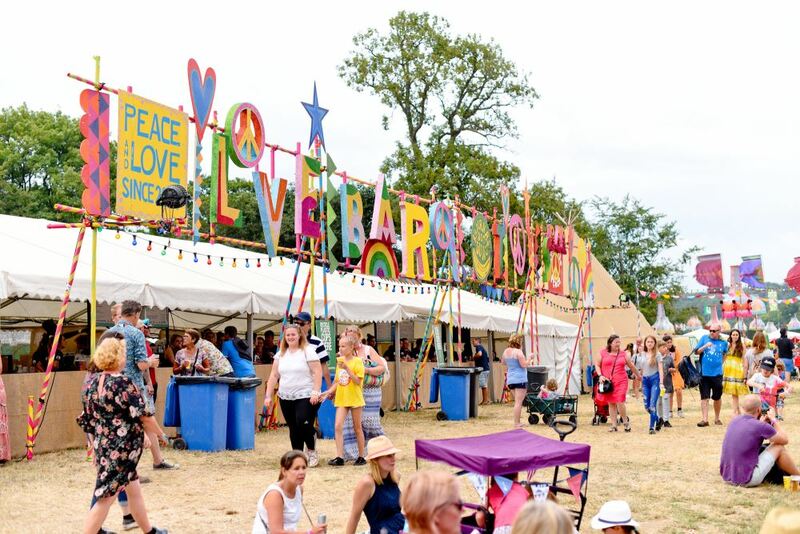 I think everyone was incredibly surprised when Mary Berry from Great British Bake Off suddenly hit the drums for Rick Astley at Camp Bestival, revealing what must have been the worlds best culinary/ music secret! 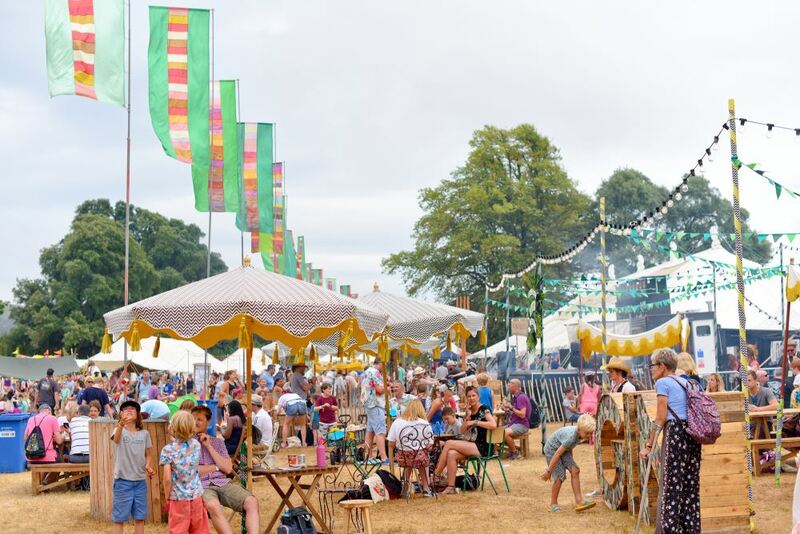 There is plenty for adults as while and we just loved getting to soak up the atmosphere, enjoy the delicious food (you are spoilt for choice) and my hubby definitely enjoyed the selection of Craft Ales on offer – particularly from the Craft Ale bar. 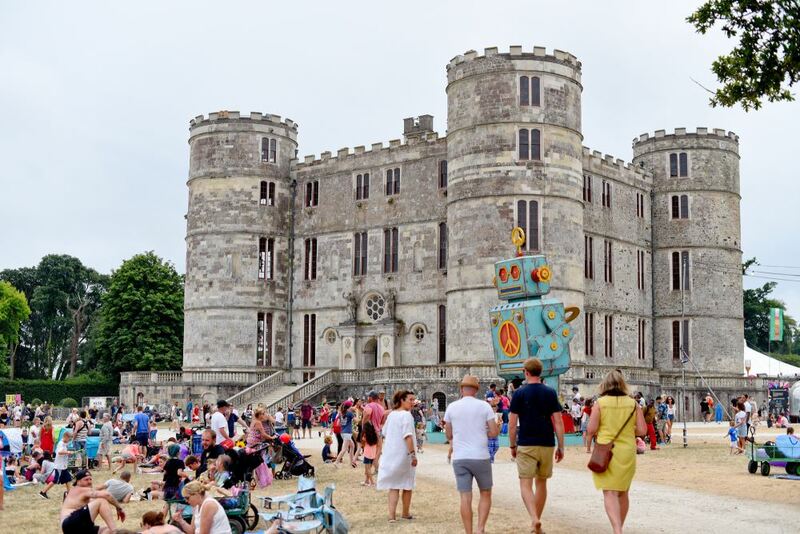 The site is decorated beautifully, it’s like you are walking through various parts of a magical storybook, with oversized flowers, flags, bunting, little twinkly lights, and of course Lulworth Castle. The only disappointing part this year was that the Sunday had to be completely cancelled because of severe rain and wind. 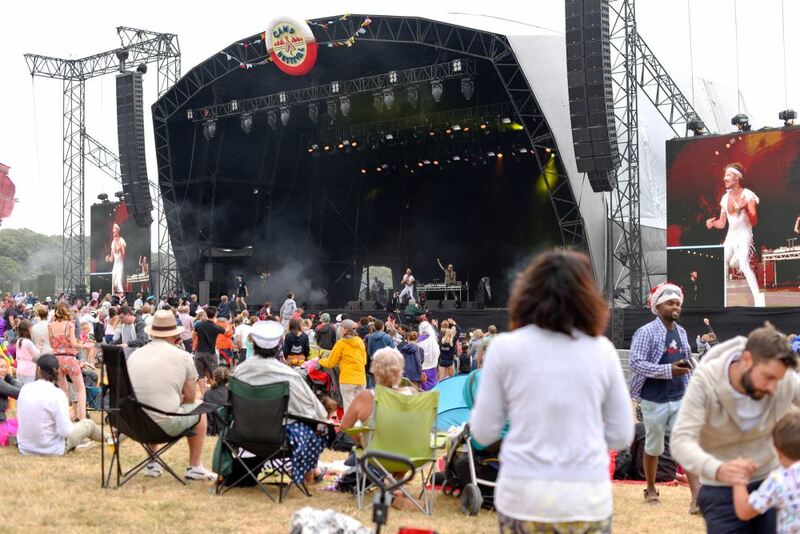 The organisers dealt with this very well and communicated information to campers and event goers, of course people would have been very disappointed, but they have a refund policy and the weather was so bad it would have been unsafe if the site had been opened to the public. It’s a shame as on the Sunday is when they have a massive firework display and magical animations projected on to the Castle……..but that’s the English weather for you! Overall, I would highly recommend it to families and also to couples, groups of friends going without children, it’s a wonderful atmosphere and I’m excited about going back as our daughter gets older and gets to enjoy even more of the rides and attractions. We enjoyed two incredible days out there, that we won’t be forgetting any time soon.